The tiny water tower is designed to set on your desk or nightstand, so don’t use it to store water, but built-in LED light delivers soft illumination at night. Like the design? Let’s go on for the water tower night light. This is a pretty cute and practical night light that measures 11 x 4 x 4 inches. As shown in the images, the nightlight is shaped as a water tower along with exquisite detailing, but its compact design allows it to be deployed on your desk with ease. 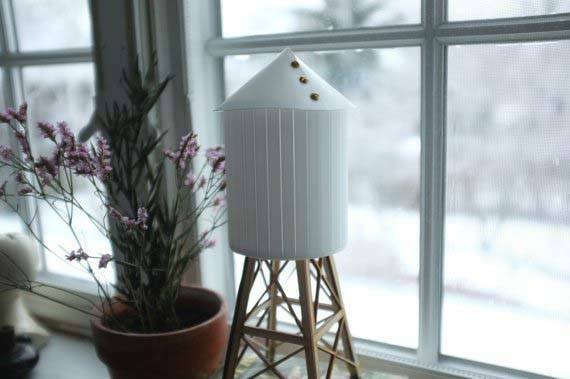 The tank of the tiny water tower is laser cut from matte white acrylic with small brass accents, and it’s out together with a geometric wood base using a high grade adhesive. There is a battery powered LED diode in the acrylic tank in order to deliver comfortable and soft illumination at midnight, and the cute appearance enables it to serve as a small decoration that always add some fun in your room. Moreover, the night light is turned on and off with a mini toggle switch on the bottom and its battery can be removed for replacement. 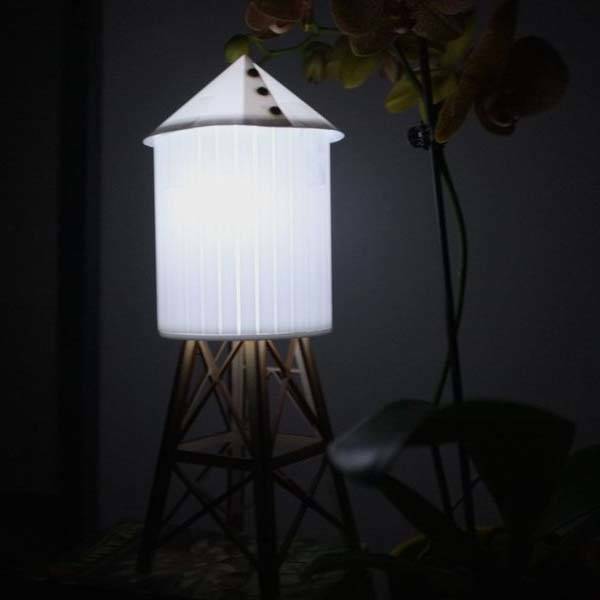 The water tower night light is priced at $75 USD. If you’re interested, jump to Fancy for its more details. BTW, also don’t miss Orochi the Dragon LED might light and more related cool stuff by following tags.